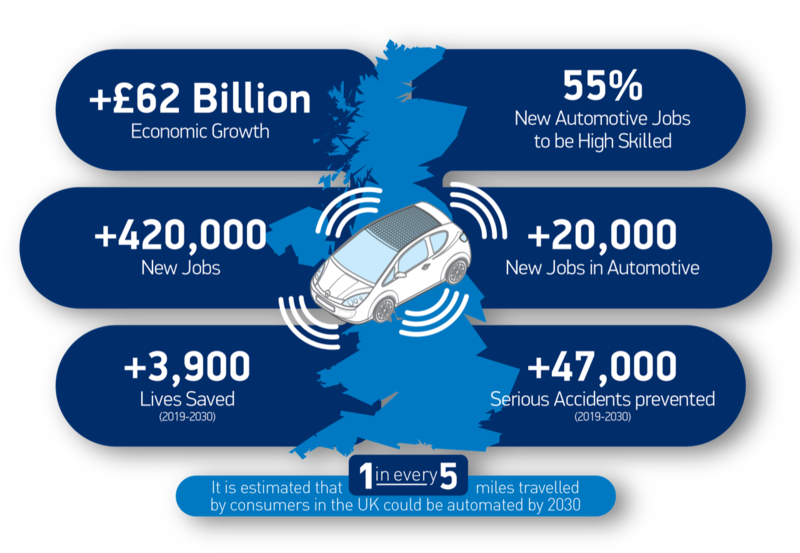 The UK is in pole position in the global race to market for connected and autonomous vehicles (CAVs), with a £62 billion boost to the UK economy by 2030 up for grabs, according to a major new report published today by the Society of Motor Manufacturers and Traders (SMMT) and Frost & Sullivan. Connected and Autonomous Vehicles: Winning the Global Race to Market, analyses the wide-ranging societal and economic benefits to be achieved by gradually increasing CAVs on our roads. 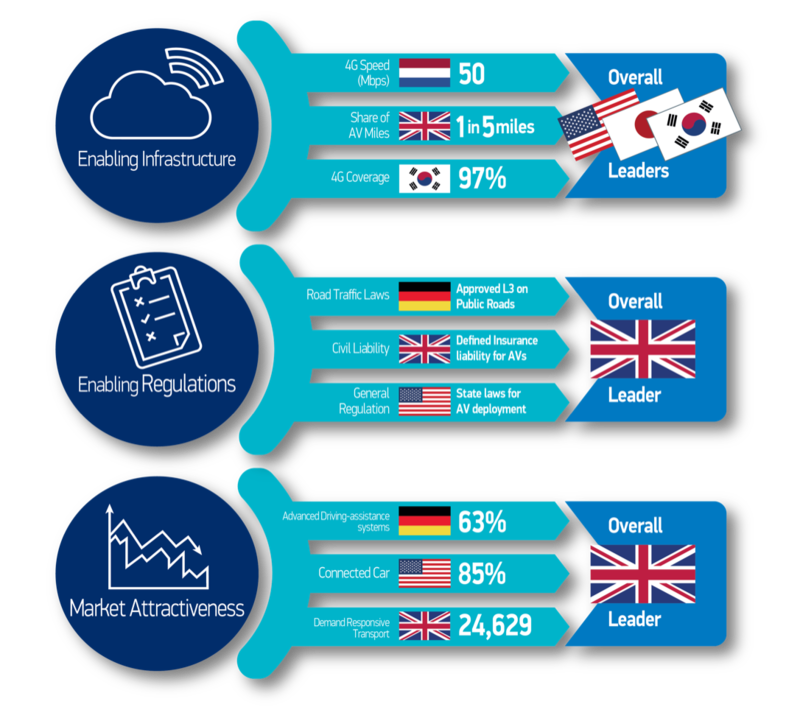 Connected and Autonomous Vehicles: The Global Race to Market identifies three critical areas that will help CAV rollout and in which the UK has a significant advantage: supportive regulation, enabling infrastructure and an attractive market. With the world’s first insurance legislation for autonomous vehicles already in place, the most comprehensive review of road transport underway and more miles across motorways, urban and rural roads able to be driven autonomously, the UK is already ahead of global rivals in its readiness to commercialise self-driving technology. The report ranks the UK above other major automotive countries, including Germany, US, Japan and South Korea as a global destination for the mass rollout of CAVs.